How would you like to start this Thursday with apple fritters, biscuits and morning buns made by a James Beard Foundation Award-nominated chef? 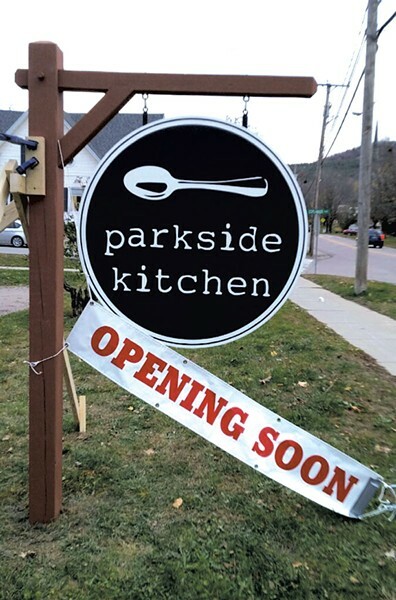 That day marks the opening of the Kitchen Table Bistro spin-off Parkside Kitchen, located at 39 Esplanade in Richmond, former site of On the Rise Bakery. 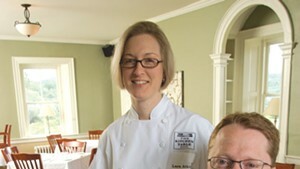 KTB pastry chef Lara Atkins — the aforementioned Beard nominee — will helm the kitchen with support from her co-owners, husband and co-nominee Steve Atkins and general manager Neal Johnston. "We are hoping to ease in with morning pastries and a limited lunch," Johnston says. In its early days, Parkside will serve until 1 or 2 p.m. As the team gains its footing, hours will expand to three meals a day, seven days a week. Breakfast will be basic, with dishes such as breakfast sandwiches, oatmeal and creamy grits all prepared from scratch with local ingredients. On Saturday and Sunday, brunch will replace breakfast and lunch, with offerings including a Benedict served over griddled polenta, and biscuits and gravy prepared with house pork sausage. Lunch and dinner dishes will include a burger, a Cubano, fried chicken, homemade pastas and wood-fired pizzas, such as a fall version topped with kale, squash, golden raisins, pine nuts and three cheeses. Those dishes will roll out at the restaurant over the next week or so. Johnston says to watch Parkside's Facebook page for updated hours. The original print version of this article was headlined "Local Heroes"